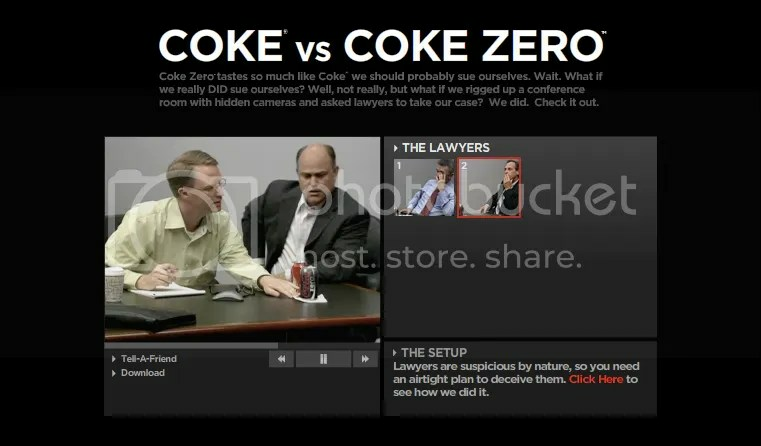 Coke Zero – Can We Sue Us? yes you’ve heard it right. coke wants to sue coke zero for tasting so much like coke. and they got real lawyers in to ask whether they will take up this case. check out their videos at their site. i say it’s a brilliant way of selling coke zero! i also like how it’s so easy to share content – you can download it various formats or send a quick link to your friend. alot of their campaign elements are not available on the site anymore (a pity, i say) but fret not, you can watch the campaign video here.